As we inch ever nearer to the October 24th launch date for Lifeblood, we are only beginning to unpack the full magnitude of changes coming to highsec. Three major features stand out for the PvE side of EVE, and while much of the mystery surrounding each has been removed, the full impact of these features in conjunction has not been seen. Each feature by Itself is rather impactful, but together they may change the way new people think about EVE Online. One of the most understood and explained features coming are the new Resource Wars event sites. These sites will spawn throughout highsec and be divided into five tiers of difficulty. The tiers will be gated by ship restrictions, and standings requirements, with the lowest tier taking two frigates, and the tier five taking up to six battleships. Most notably, this is EVE Online’s first permanent PvE content that encourages unorganized cooperative gameplay (known in other games as ‘pick up groups’, or ‘pugs’). Unlike Sansha Incursions before it, these cooperative features will scale up in difficulty, allowing people to be successful as long as they are all working towards the common goal, without requiring focused coordination. While it is true that players are allowed to disrupt such events, chances are all but the most high end will be done in ships not worth harassing. The goal here is to not 100% dictate player behavior, but rather create a set of rules that will promote cooperative behavior, rather than competitive. One big key to this is the addition of the mutual rewards. Each player will receive the same reward for completing a site regardless of assistance from other players. In almost every other PvE combat aspect of the game, having more people will reduce the rewards. The permanent exceptions are Incursions, which require certain numbers, and greatly punish exceeding them. However, the reward structure is closer to the Shadow of the Serpent event sites where players, for the most part, received their reward just for being on grid when the site was finished. This lead to high amounts of cooperative play, and the formation of social bonds. This concept, applied to a permanent in-game feature aimed at new players, will allow capsuleers to find one another, including mentors, and for social groups to set up future cooperation or betrayal. Additionally, unlike normal missions, these sites are short lived, and out in space. You cannot trigger them by going to agents and asking for more, indefinitely. The very system rejects the notion of one central hub base that you always return to. Instead, players will be asked to roam freely to capitalize on these sites. This will also allow players that are not familiar with the feature to stumble upon them (though many will find themselves gated out, this could function as a ‘call to action’ for some players). We will discuss this process greater in with The Agency. Perhaps the most confusing of the three, The Agency shares its name with the “seasonal” events we have been seeing tested. What Lifeblood adds to The Agency is an entire content location system, complete with map and filters. Players can use this map to hunt for mining sites, scanning sites within their local system, agents, epic arcs, and more to come. In addition, this map is used to locate the new Resource Wars sites. This new interface is expected to quickly replace many of the ways players find what things there are to do in space, which is extra important at a time where CCP is coming out with lots of new and different kinds of PvE content. The name of this new feature is no accident, the goal of it is an increased sense of empowerment that will enable player “agency”. Players will no longer be left asking ‘what can or should I do’ which is a question that plagues new players in particular. EVE Online is a game famous for asking players to forge their own path, but is notoriously poor at showing the players what kind of paths there are to take. This feature is no less than the NPE 2.0 that was described by CCP Ghost nearly a year ago. While many older players may not see much value to this, it will change the way that new players digest EVE Online, which should lead to better retention, and a more experienced player base – both good things! The most mysterious of the new features, FOBs function as a flashpoint for AI driven objectives. Once established, these FOBs will deploy pirates of their type to capitalize on their foothold. Enemy patrols will seek out vulnerable pilots, and miners will begin extracting the resources within the area. Only by seeking out and destroying the footholds will players push back the pirate threat. They will be hunted down via combat probes and will be controlled by the new master AI that also controls the Shipyard events. As mentioned, this is the most mysterious of the three, and likely because it comes from the tools team, rather than the event team. The team that built the FOBs are the same that built the Blood Raider shipyards and their primary goal is to build, test, and showcase their new AI. Thus, where the Resource Wars events are very well structured and designed, the FOBs have a ‘sloppier,’ more emergent feel. 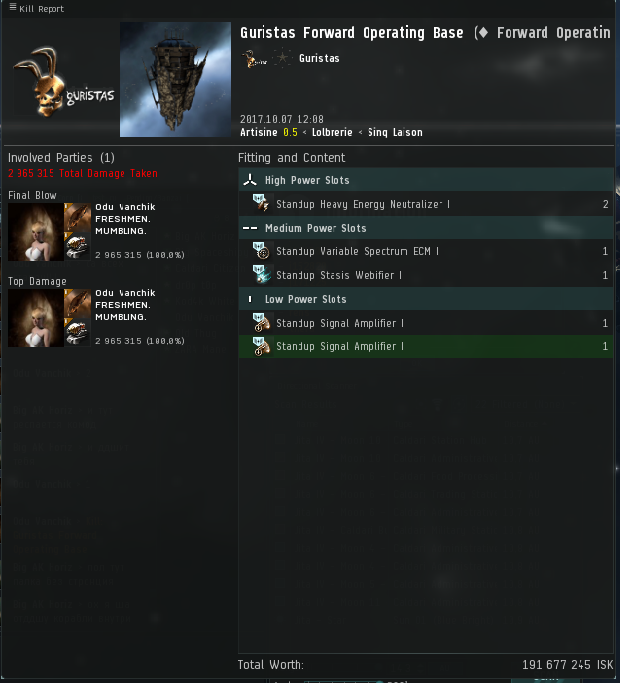 CCP continues to push the limit of what they can get their new AI’s to do and this is a huge step in that direction. Over time, additional behaviors or other objectives may be added, all with the goal of making space more alive and dangerous. The biggest risk is whether players will even look to fight back. While it is true that a pirate invaded area will likely be more dangerous, we will have to see if the EVE player base truly picks up on the idea of cooperative emergent gameplay in high security, or if pirate infested zones will be the new normal, or worse yet, the new preferred. Either way, it looks like CCP could use these sites as a launching off point for future development, much as the shipyards are in null. The key to all of this is a fundamental change to what kind of universe new players step into. EVE has always been focused on player built content, but the issue with that is that it is unpredictable, and unreliable. Environmental content that simulates player content is useful both in getting players accustomed to what playing EVE is actually like, but also can function as objectives that can be focused towards on quiet nights. Finally, this content could be used as a great way to help players get to know these organizations, and their leaders. 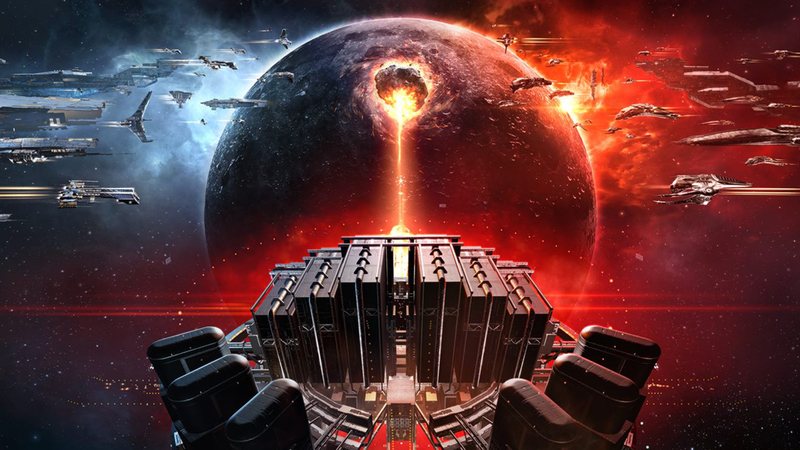 EVE is full of rich history and interesting people, and using this advanced PvE to paint a better picture of the EVE universe could go a long way to increasing player engagement. While it is easy to dismiss these changes as not impactful to established players, it is worth noting that this content will potentially form a different kind of player. Just as the Inception NPE raised the overall knowledge of players fresh out of the tutorial, this new content should allow players to become familiar with EVE concepts long before they join a major player organization, which should ease the burden upon them as well. Finally, it will allow new avenues for recruiters, and new players will be seeking out help for this new cooperative content, and so mentors will hopefully have an easier time breaking through the “trust no-one” mentality of the majority of newcomers to New Eden. Let’s get the blood pumping!